Lumines Puzzle and Music is an excellent mobile version of Lumines to take with you, but it’s never a bad thing to have an analogue, like in the form of JMJ Interactive’s Akihabara - Feel the Rhythm. It shares many similar elements with Lumines, but it looks like it’s got its own set of concepts that should set it apart in the end. 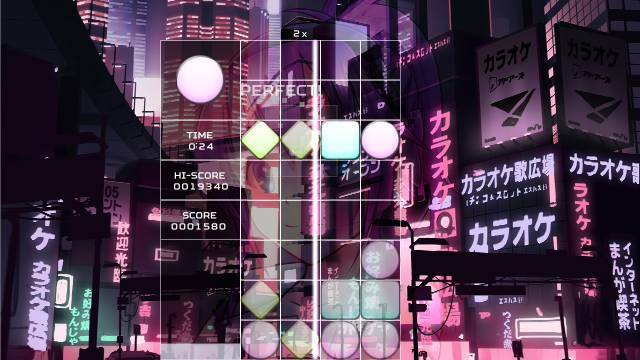 Across 10 levels in the game’s Campaign mode, you’ll make matches and tap to transform pieces as the beat marker crosses over where you are on the screen. Like most matching games out there you’ll need to match 3 pieces along to the music. It’s very similar and in some ways goes in a different direction than Lumines did. When you complete the 10 levels of Campaign mode, you’ll also get five mellow track remixes to take in so that’s at least 15 levels that we know of. It’s scheduled for a January 26th release, so we don’t have to wait much longer to see how it fares when stacked up against what’s arguably one of the greatest mobile rhythm games you can find out there. Check out the trailer below to see if it’s something that’ll be up your alley.